Each one of us, at some point in our lives, realized that scoring marks was not the only criteria to be successful in life. 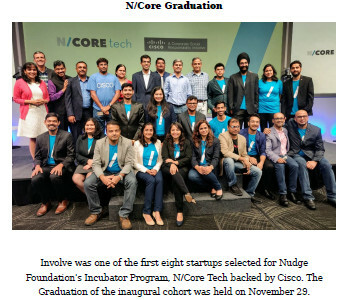 We needed confidence, better communication skills, and improved ability to deal with failures. We needed to be more empathetic, solve problems outside of books and be better in teamwork skills. These are the abilities and traits our youth requires in today’s changing and rapidly developing the world. Students are full of potential, and many a time we underestimate what their inquisitive minds can do. They need more than subject knowledge; they need other skills to face the real world and get good employability skills. Lack of confidence, depression and several issues are there which don't let students realize their true potential. Involve is committed to equipping students with tools to strengthen their learning ability. We are developing students from low-income schools into leaders of tomorrow. 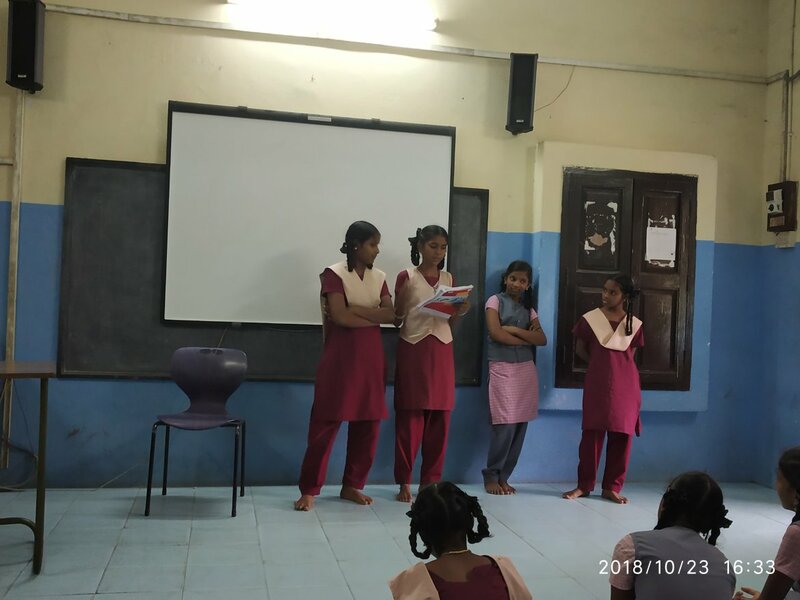 We are doing it through a well structured and research-backed PEER Teaching methodology where we train and mentor senior students of the 8-11th standard to teach their juniors. This program helps both the student who teaches and the one who is being taught. 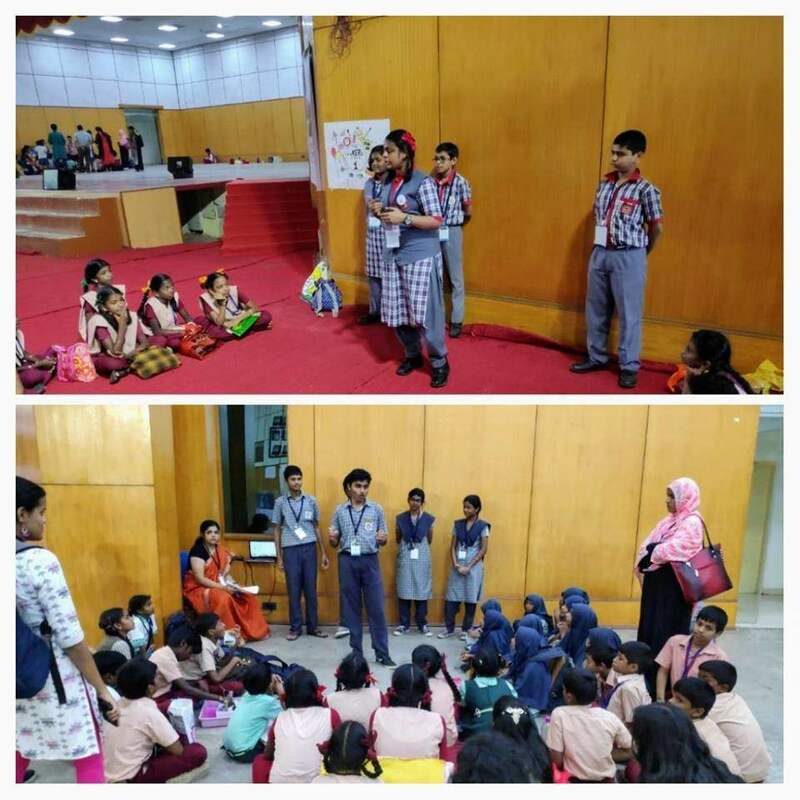 While our program design develops the much needed soft skills in the students involved and helps them understand the importance of learning and becoming self-motivated, it also ensures that our classes are much more engaging, purposeful and joyous. 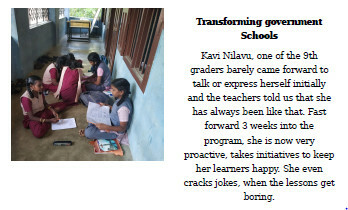 We have worked with more than 400 students till now and have developed 50+ student leaders. 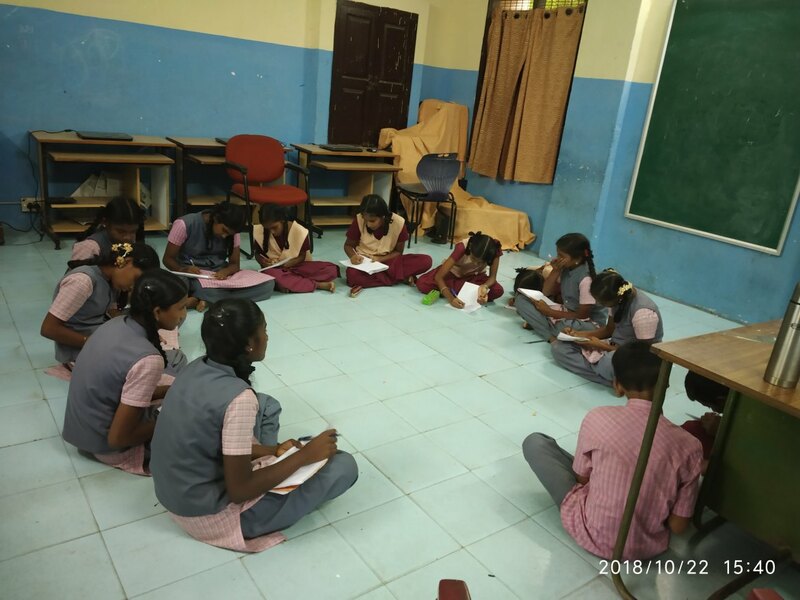 From this year, we will be working with schools in Chennai and Goripalya, a community in Bangalore, where students are victims of child labor and don't have enough opportunities. 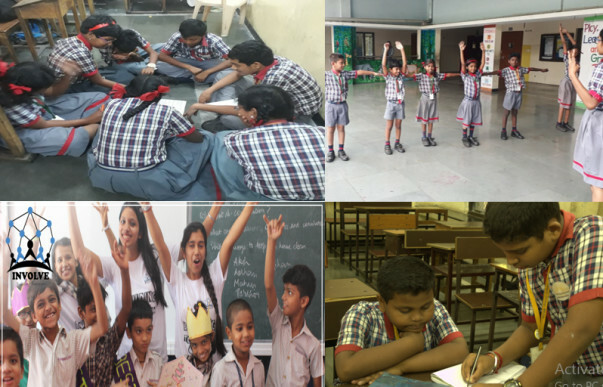 We aim to impact 1000+ students this year, and in years to come, want to create a student revolution where we help as many as 147 million young students realize their potential and empower them towards self-directed learning. Imagine all our students motivated and inspired to learn where they are aware of their capabilities. 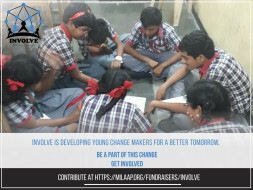 Involve is committed to bringing that change. Be a Part of this Change! For this year, our budget us INR 1.8 million, 1/3rd of which (INR 6 Lakhs) we are raising through your support. The money will be strictly used for program costs (training, workshops, innovation trips and operations support) and to buy some Android tablets to magnify the learning outcomes. 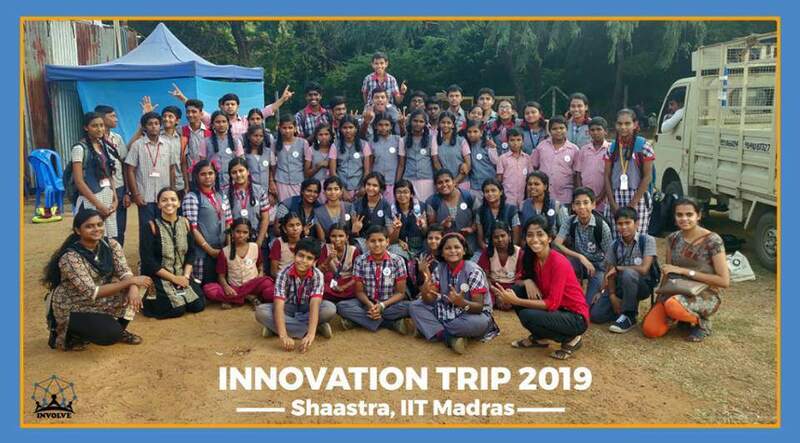 2 out of the 3 co-founders, who are from IIT Madras, are not taking any salary from the organization, and the 3rd quit his job to work towards student empowerment with his head, heart, and hand. Over time, we want to be a sustainable organization recovering about 60% of our costs through revenues. 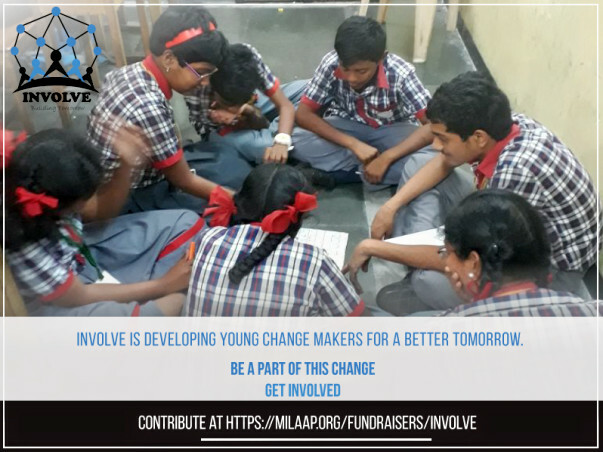 With as less as INR 250, you can be a part of this change and empower a student in becoming leaders of tomorrow. This is a call for everyone to be a part of our vision of student empowerment and get involved. (INR 250 is the cost of skill development and academic support of 1 student for a month. 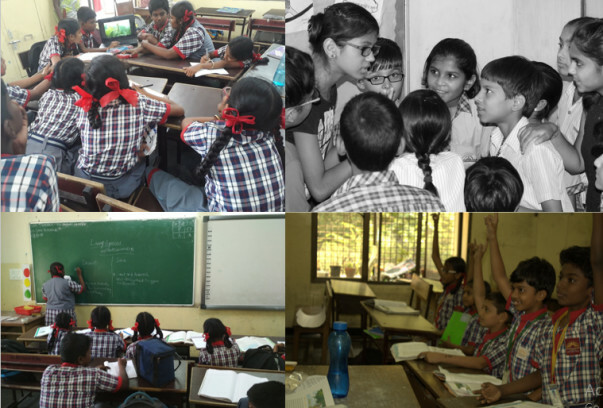 With INR 2000, you can sponsor a class of 8 students, and with INR 3000, you can sponsor a child for a year).